We have scored some *SUPER STEAL* deals on DVDs for the family over the past few weeks. 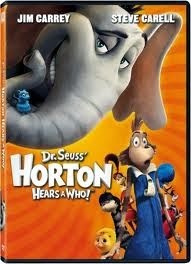 Dr. Seuss Horton Hears a Who! Don't forget that DVDs make GREAT gifts! We're getting lots of DVDs this year to enjoy family movie night with the kids without always having to run out to get a movie.